We were blessed with the opportunity to be in North America on home assignment from the end of July to the beginning of October. We were also blessed to be a part of Triennial 2018 “Being shaped for mission” in Edmonton. Our camp director Tamas joined us for the trip and the three of us were encouraged as we met with many pastors and individuals who are partners with us and the camp ministry. We were also able to lead a break out session to give an update on the work going on at Camp Falcon Rock as well as the ways the NAB community can continue to partner with the camp. After Triennial, Tamas stayed with us for an extra week and the three of us travelled to a number of different places and churches to give an update on the work and give thanks to our partners. After our time at Triennial we took some time off to visit both of our families. It was special for Paul and I to get some quality time in with our families during our home assignment. We were truly grateful for that gift! After our family time we embarked on a 1.5 month church tour across Canada and the Northern states. We were able to meet with many of our supporting churches in Saskatchewan, Manitoba, and North Dakota. It was so encouraging for Paul and I to meet many of you in person!! We continually thank God for the incredible community of support that is around this ministry. It truly is the work of the body of Christ coming together to see the camp built and the gospel reach the people of Romania. Thank you for continuing to partner with us. 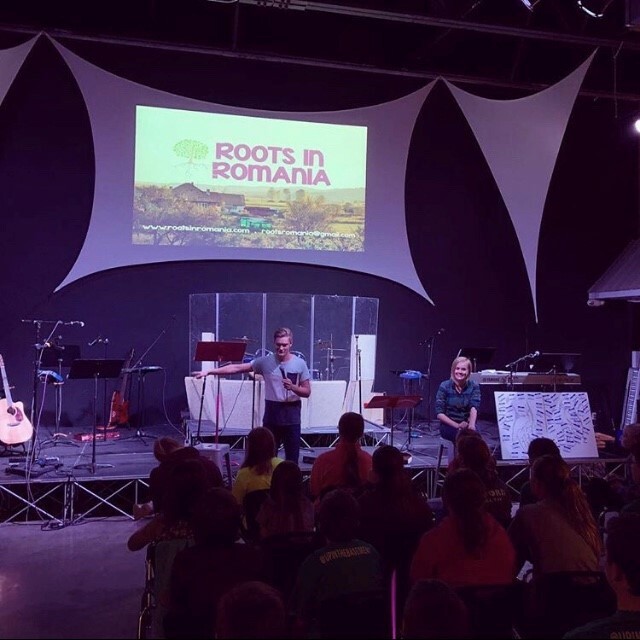 Ministry continued in Romania in our absence. In August we had a number of churches rent the camp for their own programs. One rental was from a Dutch missionary organization who brought up 70 gypsy kids to the camp. There were so many kids and such limited space that kids were having to share beds! But the week was incredibly impactful for this group. Many of these kids had never had a warm meal before. The first day they served a hot meal; none of the kids ate it because they didn’t know what type of food it was as their normal meals are cold and come from begging. This Dutch group was able to not only provide true love and care to these kids through providing them food and a camp experience, they were also able to share the love and care of the Father by sharing about Jesus. The Camp Falcon Rock crew was busy in September preparing for our annual Thanksgiving Day service. The team hosted a volunteer work/service day at the camp where 29 people came out to help with construction, maintenance and set up at the camp. It was so encouraging to see the local church members love and care for the camp. 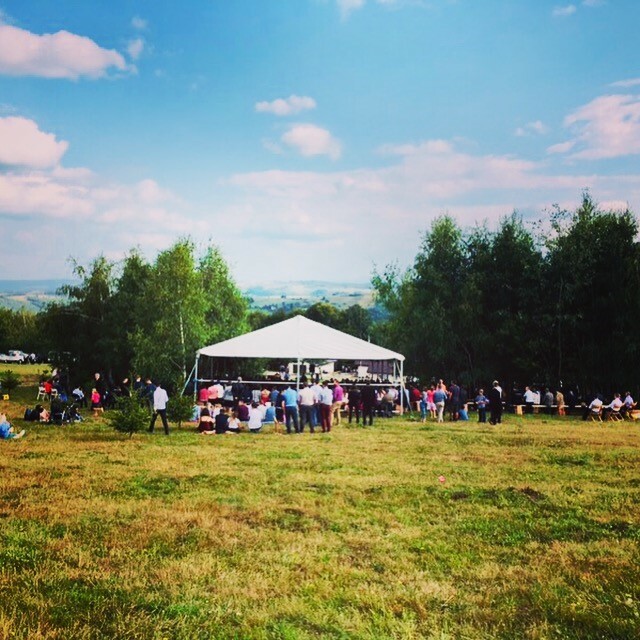 The next day the camp hosted the Thanksgiving Day service where almost 700 people came out!!! It was again so encouraging to see this number of people come out, all who love the camp. Tamas said people were excited to see the progress in the camp development from last year and are eagerly waiting to come use the camp. Camp construction also continued and continues now. The team was working on our 2 duplex cabin walls and roofs. They were trying to get them done before winter so that we can work on the interior work of the cabins in the Winter/Spring in order for them to be ready for next summer. 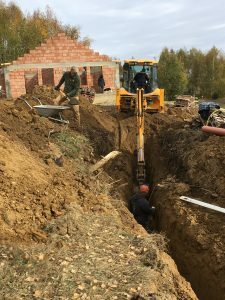 Currently we have a couple Canadian experts here helping us install our water and sewage system. This is a huge project! 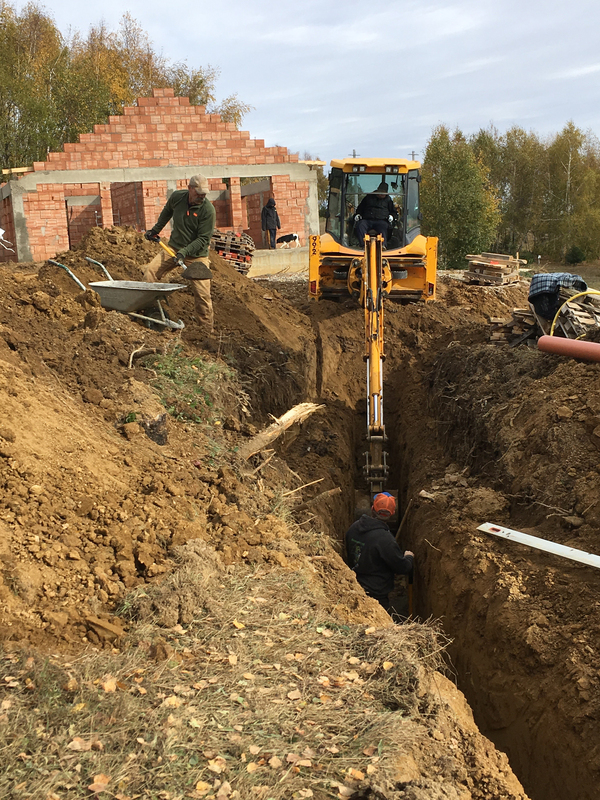 Completing it will allow us to continue with the development of the facility and increase our capacity allowing us to reach more people in Romania with the Gospel. Please pray for safety and a smooth install as the crew continues to work on this enormous project. We appreciate all of your prayers and support. May the Lord Bless you and keep you!